After years of uncertainty over the future of the Potter Valley Project (PVP), Pacific Gas & Electric announced May 10 that it plans to sell these facilities through an auction. PG&E released details of the auction process September 4. PVP is an inter-basin water transfer project from the upper Eel River Basin into the headwaters of the Russian River flowing from watersheds in Lake and Mendocino Counties. 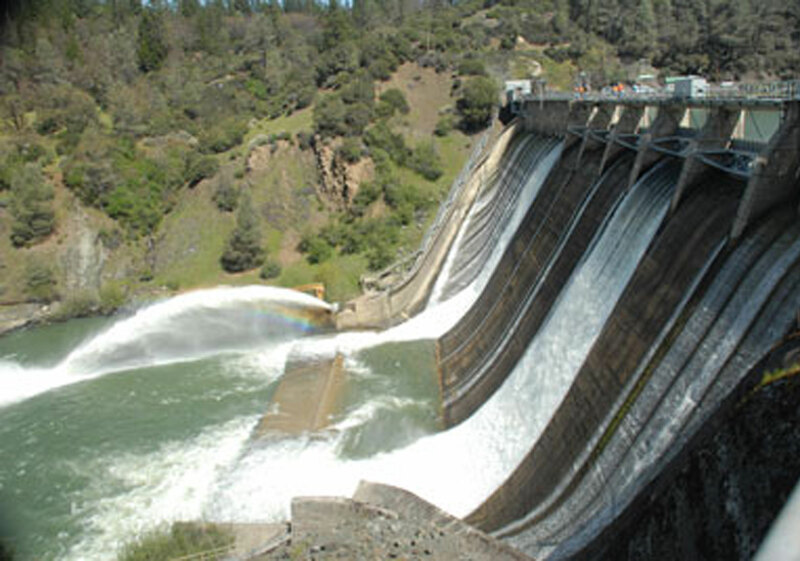 Its main components include two dams on the Eel River, the Scott Dam and the Cape Horn Dam, a hydroelectric plant, plus a diversion tunnel channeling water from the Arsdale Reservoir to the East Branch of the Russian River about 23 miles northeast of the City of Ukiah. The auction will begin with Requests For Offers (RFO) made to applicants experienced in operating power plants and those with expertise in dealing with regulatory agencies. Qualifications include the ability to meet the Federal Energy Regulatory Commission’s (FERC) requirements for a hydroelectric project licensee. The next phase would see PG&E granting access to its files to those who made it through the first cycle. This entire process could take 1.5 to two years to complete. Sale of these facilities will require approval by the California Public Utilities Commission and FERC. 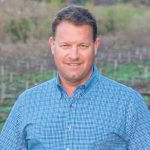 In a May 2018 letter to the Eel-Russian River Commission, PG&E’s Director of Power Generation, David Moller, revealed the company’s intent to put PVP up for sale at auction this fall, saying it is not in the long-term best interests of PG&E’s electric customers to continue operating this facility. As an alternative to the auction, Moller suggested the possibility of transferring PVP to a local or regional entity. While options have been put forward regarding the future of PVP, on Tuesday, August 21, the Mendocino Board of Supervisors issued Resolution No. 18-131 supporting and protecting the continued diversion of water from the Eel River through the Potter Valley Project at the current rates, amounts and timing. The document also said the county supports regional fisheries restoration efforts and believes that it is incumbent upon all affected stakeholders to work diligently in a collaborative process to protect shared water and public trust resources in both the Russian and Eel Rivers. Mendocino County further supports the Inland Water and Power Commission’s desire to acquire the PVP from PG&E and to continue producing hydroelectric power under FERC licensing conditions. The current license for this project is set to expire on April 14, 2022. PG&E, or a new owner, must apply for a new license by April 14, 2020. If no one comes forward to buy PVP and assume full responsibility for its operations, it could be shut down: due to an abandonment of the license or by being decommissioned – which could cost hundreds of millions of dollars and result in no water coming to Potter Valley. MCIWCP is a Joint Powers Authority involving five member agencies: the Mendocino County Water Agency, City of Ukiah, Mendocino County Russian River Flood Control and Water Conservation Improvement District, Redwood Valley County Water District and PVID. “We met with PG&E to discuss the legal framework for a sale, and some issues remain open, including whether existing water authorities will be willing to take this on, as well as costs associated with the purchase and operations of the Potter Valley Project,” Pauli said. She said MCIWPC should know more about the financial obligations by the end of September. Pauli indicated it is difficult to proceed without reviewing all historic and anticipated costs – such as those associated with government compliance, dam safety reports for the Scott and Cape Horn dams, and other concerns that could add to the expense budget and affect the bid. Pauli observed that the PVP’s sale comes during the relicensing process that could potentially involve the modification of water flow levels, or add other studies required under terms of a new license. One of MCIWPC’s concerns is if an entity came forward to purchase the PVP from outside of the region or the state — primarily for the purpose of making money — this could raise water costs to a point where local residents and farmers could not afford it. In such a situation, even if some farmers had water rights, they would only be good if the water was available. Within the Potter Valley Irrigation District, after the construction of the Scott Dam in 1922, agriculture flourished, following new California State Water Resources Control Board (SWRCB) appropriative water rights that were perfected along the entire length of the Russian River with the coming of summer water. 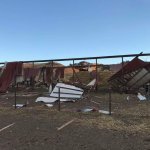 This led to some 389 resident farmers planting 208 acres of pears, growing 1,966 acres of grapes and 67 acres of other crops, plus 2,570 acres of pasture land for cattle. The value of tree and vine crops alone is estimated to be between $35 and $40 million annually. 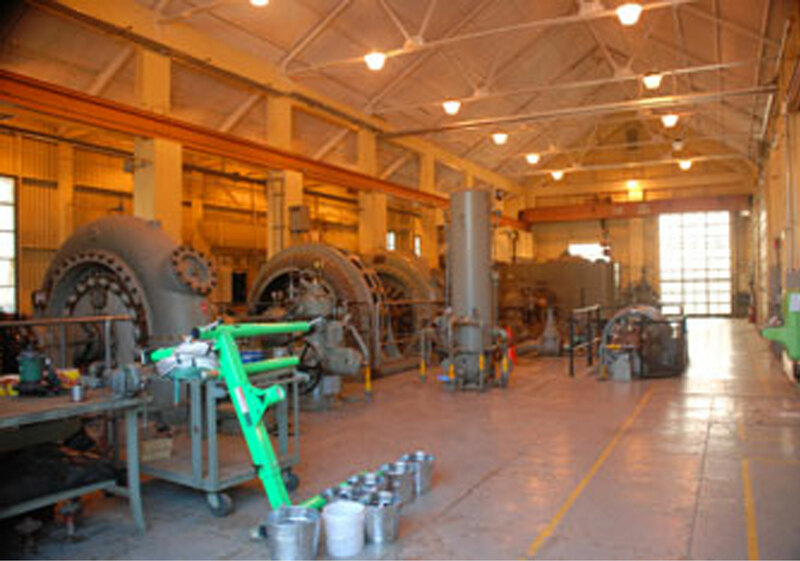 The PG&E Potter Valley Powerhouse generates 9.2 MW of energy, and three smaller privately-owned powerhouses downstream produce approximately 700 kW of additional power. If one assumes that a typical home uses from 3-3.5 kW, collectively these powerhouses generate enough power to supply 2,885 to 3,366 homes. From Potter Valley, water flows south through the east branch of the Russian River to Lake Mendocino, created by Coyote Valley Dam built by the Army Corps of Engineers (ACOE) in 1959 at a cost of $11.5 million. This lake had an original capacity of 122,400 acre-feet, which has declined to 116,000 acre-feet today due to sediment buildup. One proposed option would raise Coyote Valley Dam to the original Congressionally authorized height from its current 160-foot height to add another 36 feet to increase its storage capacity. Both the ACOE and MCIWPC are currently in the process of studying the feasibility of increasing the storage capacity of Lake Mendocino. A number of Mendocino County communities depend on Eel River water stored in Lake Mendocino, including Redwood Valley, Calpella, Millview, Willow, the City of Ukiah, Ukiah Valley and Talmage, as well as Hopland and other communities in the Russian River Flood Control area. Lake Mendocino provides drinking water for over 30,000 people living in these towns, while also supplying water for fire prevention, commercial/industrial uses and agriculture. Considering the impact of the Russian River on cities within this region, the City of Cloverdale receives 100% of its water pumped from Russian River underflow. The Town of Geyserville also receives 100% of its water from the same underflow, and the City of Healdsburg receives 77% of its water from the Russian River upstream of the confluence with Dry Creek. In terms of the economic impact of vine and tree crop values for Alexander Valley and Sonoma County in 2017, the 13,868 acres of wine grape vineyards in Alexander Valley were valued at about $133,473,000, compiled by the Sonoma County Agriculture Commissioner. Vineyards account for the bulk of agriculture products in this area with only a few acres devoted to olives, tomatoes and other specialty crops. Environmental concerns also play a major part in future uses of water in this region. 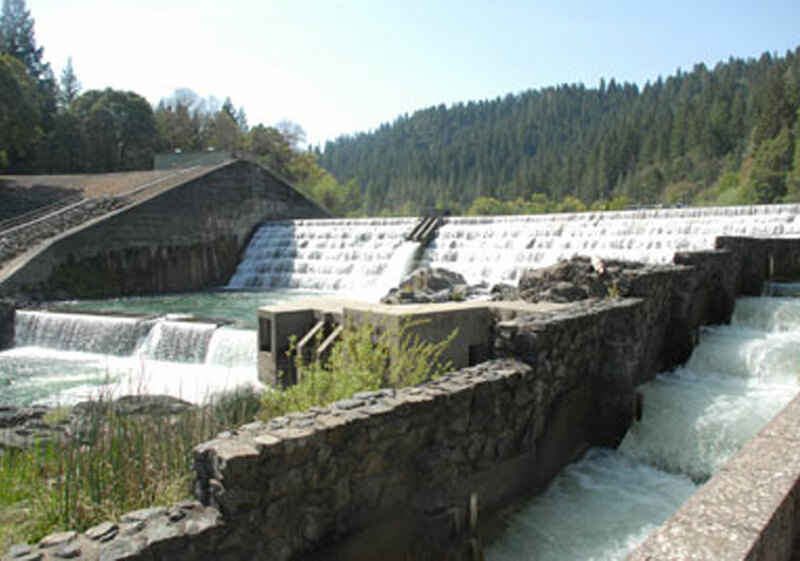 Releases of water below Scott Dam and the Van Arsdale Reservoir on the Eel River are based on FERC license requirements developed by fishery agencies specifically to protect habitat for migrating, spawning and rearing of salmon and steelhead, according to the Endangered Species Act (ESA) Section 7. In addition, water flows in the East Branch of the Russian River in Potter Valley, below the Potter Valley Project, have fishery protection requirements imposed by the California Department of Fish and Wildlife (CDFW). Some of the water stored in Lake Mendocino is dedicated to fishery migration flows that are required at specific times of the year in the Russian River below Lake Mendocino (ESA, Section 7 Consultation). The diversion of the Eel River into the North Branch of the Russian River has resulted in several impacts on the ecology. For example, building Scott Dam that formed Lake Pillsbury in 1922, blocked 8% of the upper Eel River watershed to migrating salmonids. On average, since the flow changes based on the National Maritime Fisheries Service RPA (Reasonable and Prudent Alternative) in 2004, and updated in 2007, 21% of the unimpaired flows in the upper Eel River above Cape Horn Dam are diverted annually through the Potter Valley Project. However, water diverted from the Eel River into the Russian River averages only a modest 1.8% of the annual flows of the entire Eel River watershed. A complex flow schedule for Eel River releases below the Potter Valley Project is adjusted on a daily basis, based on the inflow to Lake Pillsbury and accretion flows below Scott Dam, designed to mimic the natural hydrology of the Upper Main Eel River. Water stored in Lake Pillsbury has been released into the Eel River to enhance migration flows in the spring and fall during a recent drought. “Potter Valley needs summer and fall water. A study by UC Davis hydrologists shows that raising Coyote Valley Dam, without existing Potter Valley Project flows, would fail to provide a secure water supply for the Russian River during multiple drought years,” Pauli said. The desired future outcome for relicensing of the Potter Valley Project would include maintaining the PVP diversion at a rate, and timing that continues to provide the water supply and currently supports the quality of life and economy of the Russian River watershed. At the same time, this shared water resource should continue to be managed to enhance the riverine ecology of both the Eel River and the Russian River. “Whatever the outcome of this long-standing controversy, the impacts will fall upon agriculture if the water supply is not maintained. Without water, residents, farms and municipalities would be threatened, along with overall the quality of life in the region. We need to protect our water supply. Water quality is also critically important to protect the environment and endangered species,” Pauli added.